If, after listening to The Fontaines' debut EP, you find yourself at a loss for how to describe them, don't worry... that's by design. The young brother-sister duo (Charlotte, 19, sings; Hank, 24, plays guitar) don't want to make music that's easy to pin down. 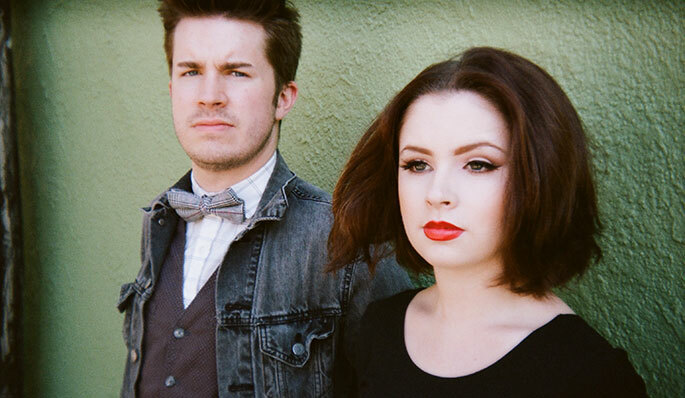 The Fontaines make music that's irrefutably catchy, filled with flashy guitar licks and sprightly rhythms; their songs are positively addictive, courtesy of Charlotte's honky-tonk, insouciant yet feminine vocals. This duo sounds unlike anything else you've heard. "We call it New-Wop," Hank says, adding that the he really wants his music to be "swoon-worthy," to have that indescribable sense of a song taking over your heart, a feeling he's gotten listening to artists from Miles Davis to Beach House. For Charlotte, the key word is "snappy," a quality she hears in the Brill Building songs of Carole King. It was hearing The Drifters sing King and Gerry Goffin's "Some Kind of Wonderful" in grade school that made her realize what kind of sound she wanted to play with in her own music. The duo has a vibe that only Charlotte and Hank could have come up with. Originally from Texas, they were born into an artistic household--their mother was a romance novelist, their father an office worker who claimed he was devoid of any creative talent despite an avid sketching habit. Although the family moved around quite a bit (including a few years in France), the Lone Star State's musical traditions were always part of the mix (they still enjoy playing Buddy Holly songs "just for fun"). They also shared a love for Harry Nilsson and Sam Cooke, but over time Hank found himself drawn to bands that played "complex arrangements of simple music," a category that includes acts like The Cars, The Stokes, and the Pixies. A couple years ago the strain of a bad break-up inspired him to become a full-time musician and write songs that allow him to express himself whether he's "feeling up or down," though he adds that the goal is always to "channel these feelings into something for people to dance to." Charlotte remains more into classic pop and rock, and writes "dramatizations of 'real life experiences,'" which these days means songs about "boys (or a lack of boys)." But don't ask her who her lyrics are about. She's not telling. Like many family acts, Charlotte and Hank found that being in a band with your sibling has both benefits and drawbacks. "We grew up riding around in the same car listening to the same music," Hank explains, "that gave us similar musical instincts." But it also means they know how to get under each other's skin. "I think Hank likes to deliberately write chords he knows I won't like," Charlotte mock-complains, adding, "sometimes I do the same thing to him with my lyrics." Hank is more philosophical: "we know each other well enough to push one another out of our comfort zones." And, like all sibling duos from Cain and Abel to Noel and Liam Gallagher, there's no small amount of sibling rivalry. "I think that everything I do onstage is an attempt to show Charlotte up," Hank confesses. "I'm sure that she feels the same way about me. We love to challenge one another and push each other's buttons." Hank moved to Los Angeles in 2008; partially for his health, but also, he adds, because he "wanted to live in a culturally important city where I could be in warm weather and still go out and hear rock n' roll at night." Charlotte, who always knew she wanted to sing (perhaps because she shares a birthday with Frank Sinatra), followed suit after she graduated high school, determined to follow her brother into the music business. In the Silver Lake neighborhood of Los Angeles, the duo discovered a city that fit their restless, eclectic style. According to Hank, "There's no unifying scene here, it's not like the way people used to talk about grunge in Seattle or folk in San Francisco." That's fine with him: "There's something to be said for being in a place where everybody draws from different interests." Charlotte, a regular at Hank's early gigs, found herself inspired as she watched him "play at every dive bar and small social gathering in town." Even though most of those shows didn't go well, "she and I both knew that getting up on stage to perform always beats sitting around and then regretting it afterward." From that point, it simply made sense that they join forces and become The Fontaines. Charlotte came up with the name, chosen for reasons as eclectic as their music: she was inspired by Trip Fontaine, a gentlemanly but troubled character from Jeffrey Eugenidies' "The Virgin Suicides"; the French poet Jean de la Fontaine; and, finally, Johnny Fontaine, the Frank Sinatra pastiche from "The Godfather," because she loved his "over the-top persona." 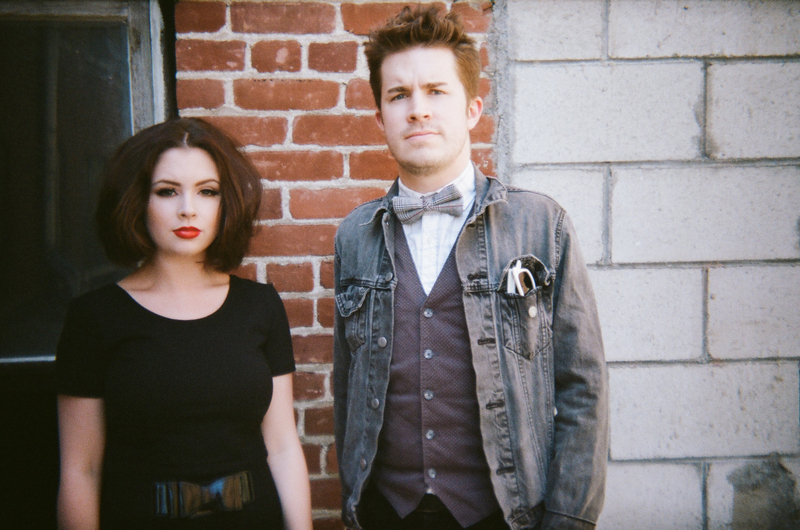 By late 2013, The Fontaines were playing wherever and whenever they could. Where there's a microphone and a stage, The Fontaines will perform. Appearing in public hundreds of times taught them to roll with the punches. "We try to make our shows as unpredictable and spontaneous as possible; we're constantly pushing ourselves to step it up." They also began to write constantly, even compulsively, and while they abandon most of their ideas ("we're our own harshest critics," Charlotte admits), Hank estimates they've written over 200 songs. Yet "Dusty Springfield," which is set to be the group's second single, was written the night before it was recorded. "We actually already had a different song with the name 'Dusty Springfield'," Hank explained. "We didn't like it, but we still wanted to record a song inspired by her. The other guys in the band were shocked when we showed up to record a new song with the same title." The "other guys" Hank mentioned are members of the band Street Joy, who currently back The Fontaines live and in the studio. 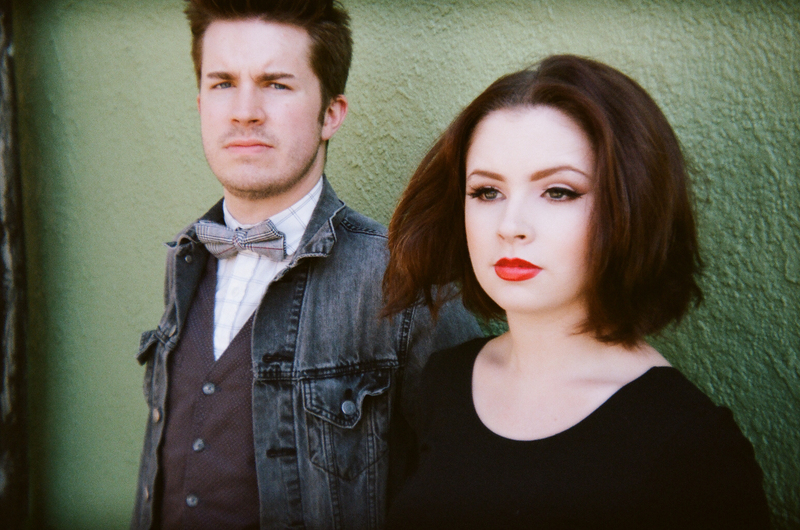 The Fontaines' self-produced new songs were recorded at Bedrock Studios near downtown L.A. and mixed by Matt Linesch (Edward Sharpe & The Magnetic Zeroes, Jeffertitti's Nile) at Ocean Way Studios. 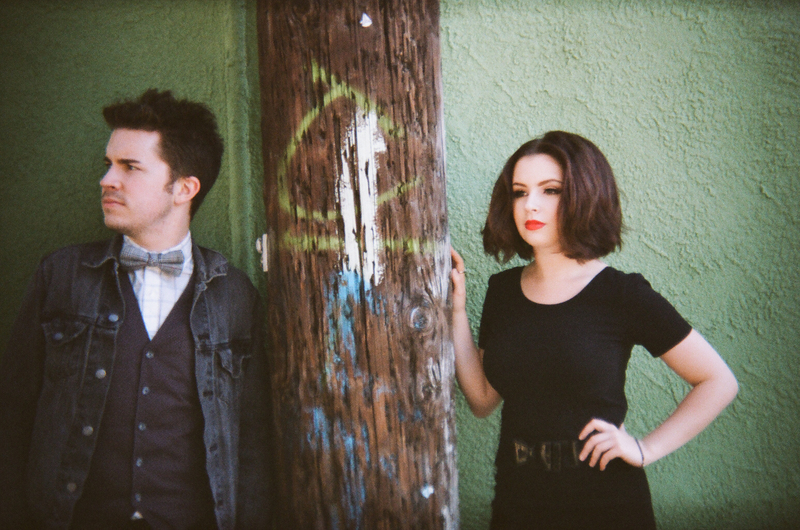 What's next for The Fontaines? For Hank, writing, performing, and recording the EP is already a dream come true, and he's already looking forward to making the group's next record (although if you're looking for him most nights, you'll find him hanging out at a comedy club). Charlotte plans to perform again at Carnegie Hall; she made her debut at the world famous concert venue when she was 15, singing a solo backed by her high school choir. She also "wouldn't mind falling in love once or twice." 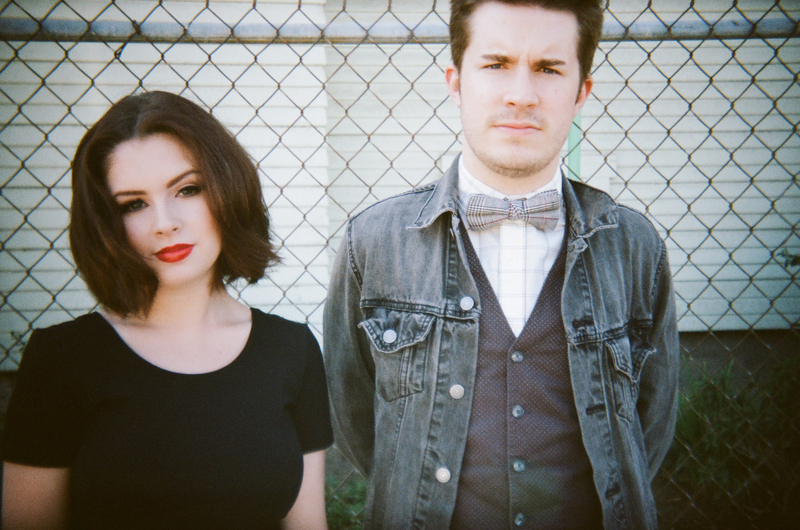 One thing's for sure: you'll fall in love with The Fontaines. Just don't try to pigeonhole them.